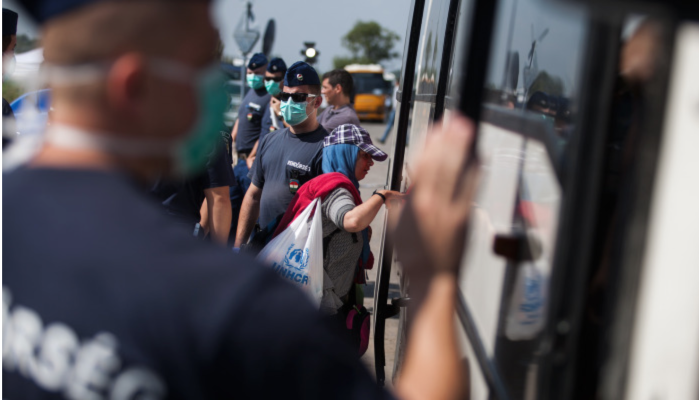 In the run-up to tomorrow’s expected border closure, Hungarian authorities have been busing asylum seekers arriving from Serbia to Austria en masse, in many cases without even bothering to register them. Whereas only a week ago hundreds of refugees were forced to sleep out in the open for as many as three days, hardly any refugees could be found in the collection points today, and the refugee camp itself in Röszke appears to be largely empty. 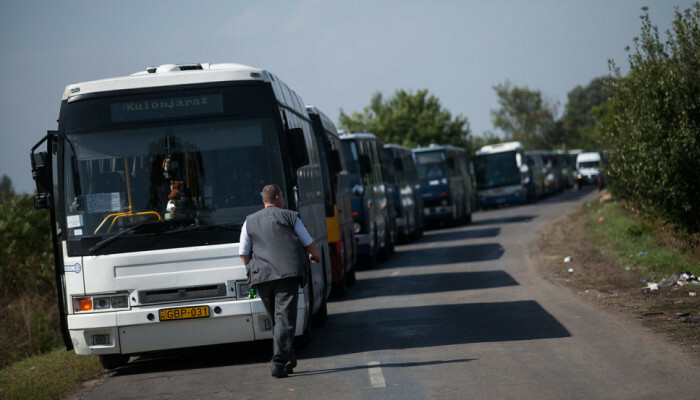 Scores of buses, including those operated by the state bus company (Volan) and the Budapest Transportation Company (BKV) can be seen parked on the side of the road connecting Röszke to the M5 motorway, awaiting their turn to shuttle refugees to Austria. Numerous humanitarian and international organizations including the Red Cross, Catholic Caritas, the Maltese and Greenpeace, as well as the United Nations High Commissioner for Refugees, have set up operations in the collection areas. Portable toilets have been installed. Those arriving at the collection areas are given food and drink and permitted to use the toilet before being put on buses to Austria. 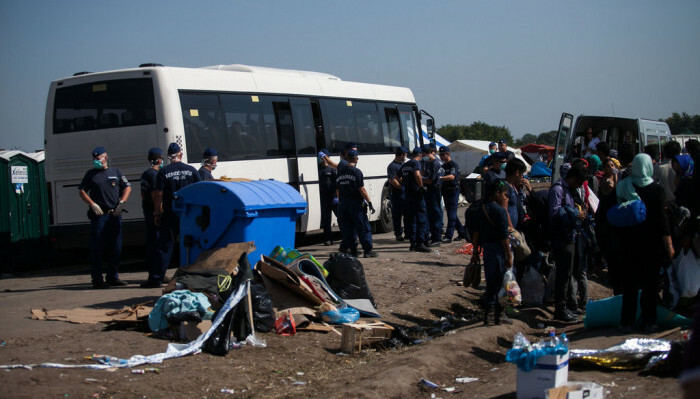 Meanwhile, buses continue to arrive on the Serbian side of the border. In Horgos, just 3 km from the border, several volunteers direct those arriving from Szabadka, Magyarkanizs and southern parts of Serbia towards the Hungarian border. Arrows painted on the ground point the way towards the Röszke border crossing. 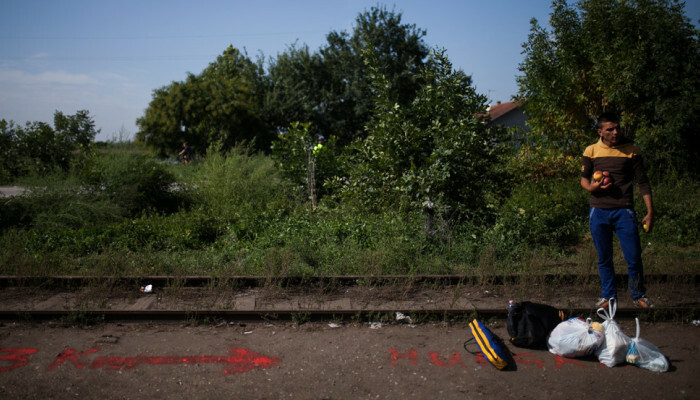 Those arriving know that the Hungarian border will be closed from Tuesday. According to Beacon sources, authorities are bracing for the arrival tonight of some 20,000 refugees eager to cross into Hungary before then.